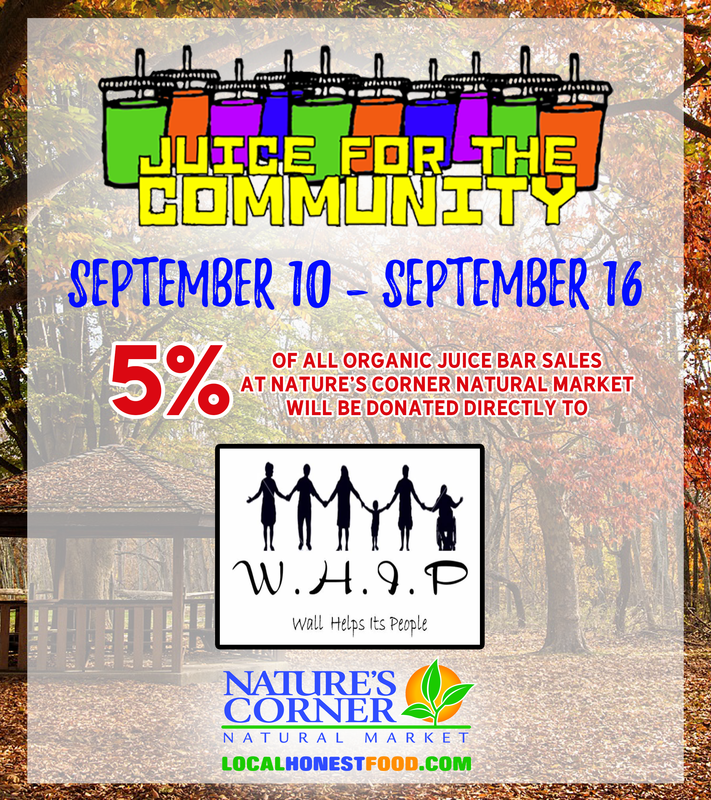 Today is DAY ONE of Juice for the Community Week here at Nature’s Corner! We will be donating 5% of our organic juice and smoothie bar sales through this Sunday, September 16th, to local non-profit organization, Wall Helps Its People (W.H.I.P.). The 100% volunteer run organization has been serving Wall Township for over 40 years. All donations to W.H.I.P. go to Wall Township families in need of assistance with things like medical bills, crisis emergencies and more. They also partner with local food banks and run a holiday toy drive each year for children in the hospital. To find out more information about W.H.I.P., visit their Facebook page.